Apr. 3, 2014—A long-term Vanderbilt University Medical Center study of deep brain stimulation (DBS) in early-stage Parkinson’s disease has received approval from the Food and Drug Administration (FDA) to continue in a pivotal, phase III, large-scale safety and efficacy trial. Apr. 3, 2014—Laura Dugan, M.D., the Larry L. Hillblom Chair in Geriatric Medicine at the University of California San Diego (UCSD), will join the Vanderbilt faculty on April 7 to direct Vanderbilt University’s Division of Geriatric Medicine, a division of the Department of Medicine. Apr. 3, 2014—The rain last Saturday morning didn’t dampen spirits at the Shade Tree Trot. Apr. 3, 2014—One of the most formidable weapons in a cancer’s arsenal is the ability to spread to other organs. Apr. 3, 2014—Walk into ophthalmologist Anita Agarwal’s office at the Vanderbilt Eye Institute and there is something remarkably different about the décor. Apr. 3, 2014—Vanderbilt University Medical Center has once again been named among the “100 Great Hospitals in America” by Becker’s Hospital Review. Apr. 3, 2014—As a nurse on the surgical intensive care unit at Vanderbilt University Medical Center, Heather Hart, R.N., BSN, has a rare opportunity to witness the circle of life. Apr. 3, 2014—Twenty-month old Luke Reaves pushed a pig-shaped wooden toy off his hospital bed, then waited to hear the “smack” as it hit the hard floor below. Apr.  3, 2014—Executives from Sumner Regional Medical Center (SRMC) and Vanderbilt University Medical Center (VUMC) announced this week that the hospitals have finalized an affiliation agreement that will enhance access to health care services for the residents of Sumner County and the surrounding region. Apr. 3, 2014—Vanderbilt University Medical Center has been selected as one of three sites to share a three-year, $1.3 million grant from the National Institutes of Health (NIH) to explore the potential therapeutic properties of manganese, a chemical element and biologically essential trace mineral, in treating Restless Legs Syndrome (RLS). Apr. 3, 2014—A new digital scanner for teeth is allowing Vanderbilt Orthodontic patients of all ages to have dental impressions for procedures such as Invisalign — clear removable teeth aligners similar to braces — created without the gagging or bad taste that accompanies traditional methods. Mar. 31, 2014—The Division of Information Technology has entered into exclusive negotiations with Dell to provide support for clinical workstations, help desk calls, and desktop and printer support at Vanderbilt University Medical Center.